Smoothies are so quick and easy to make in your home smoothie maker, why not do a little research into vegetable smoothie ingredients and invent the perfect smoothie for improving your skin hair and nails based on the properties of these vegetables? 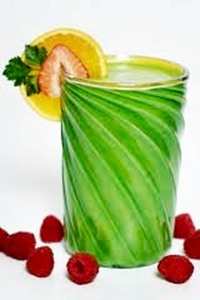 Below, I have prepared are my list of top vegetable smoothie ingredients, together with their properties so that you can mix and match and make a delicious smoothie that not only tastes great, but which will provide goodness on the inside that can be seen in the improvement in your skin, hair and nails from the outside! Carrots not only add a delicious natural sweetness to your vegetable smoothies but they are also high in vitamin A which is important for skin as it helps develop and maintain skin cells and helps maintain the oil balance in the skin. 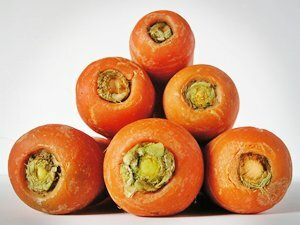 Carrots are also a great source of natural antioxidants. The antioxidants help keep your skin looking younger for longer because they help protect individual cells from damage and breakdown. Cucumber is great but, f you are using cucumber in your smoothies, be sure to add the skin too as it contains silica which helps to improve the suppleness and elasiticity of our skin, as well as strengthening the connective tissues of bones, ligaments, tendons and muscles. Cucumber is brilliant for the complexion whether you whizz it up in the blender and apply it as a mask, or add it to your smoothies mixture! Celery is also great for connective tissues in the body and will help improve your hair skin and nails. If you can manage to eat three sticks of celery every day (and the easiest way to do this is to add it to your smoothies and shakes), you will see a significant improvement in the condition of your skin, especially if you suffer from acne. Cabbage is a very inexpensive vegetable with superfood properties! It is high in sulfur which is vital for the health of your skin, hair and nails. It also gives the immune system a boost by helping our bodies to resist bacteria and cleanses and purifies the blood. Kale or Collard Greens also has high levels of sulfur but it is also high in calcium and has blood sugar lowering properties. Spinach is one vegetable that I could write a whole article about for the many health benefits that it brings maybe that is why (quite apart from being delicious), that spinach smoothies are so popular. For the skin, it combats acne, spots and other skin blemishes, it also contains high levels of chlorophyll which helps to detoxify the body, aid digestion and fight halitosis (bad breath). It is also packed with antioxidants trace minerals and vitamins. Wheatgrass is a great ingredient to add to green smoothies for its healing and detoxifying properties, it has great benefits if you want a clear complexion. I hope these vegetable smoothie ingredients have given you some food for thought and you could add just one from the list to your next fruit smoothie for added benefits.